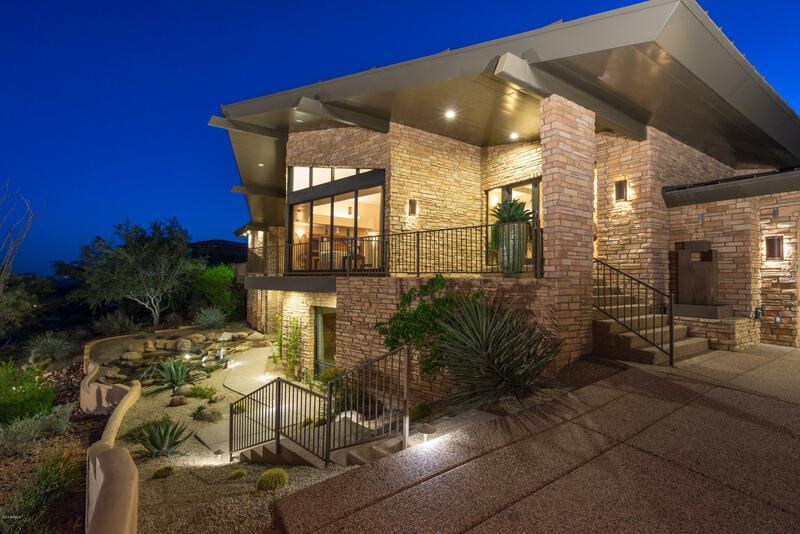 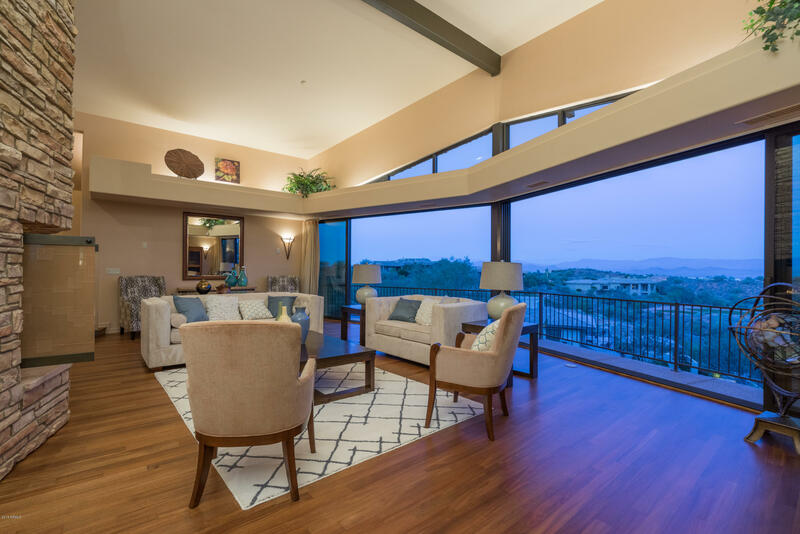 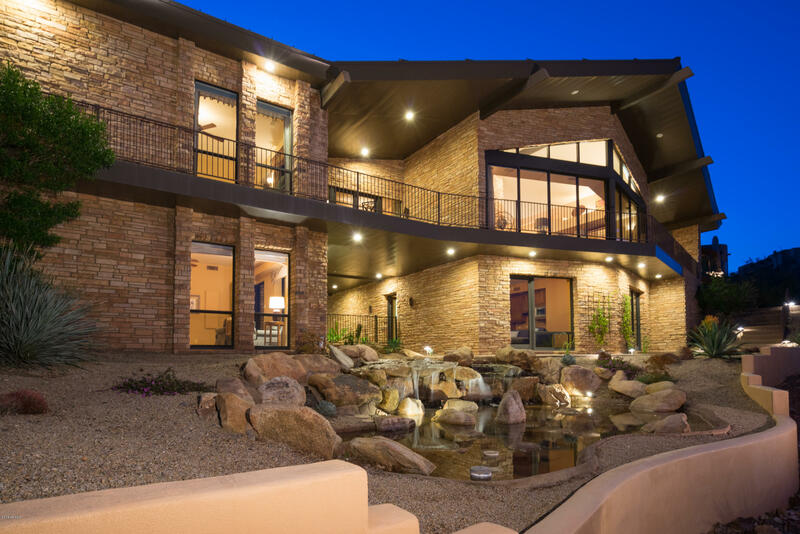 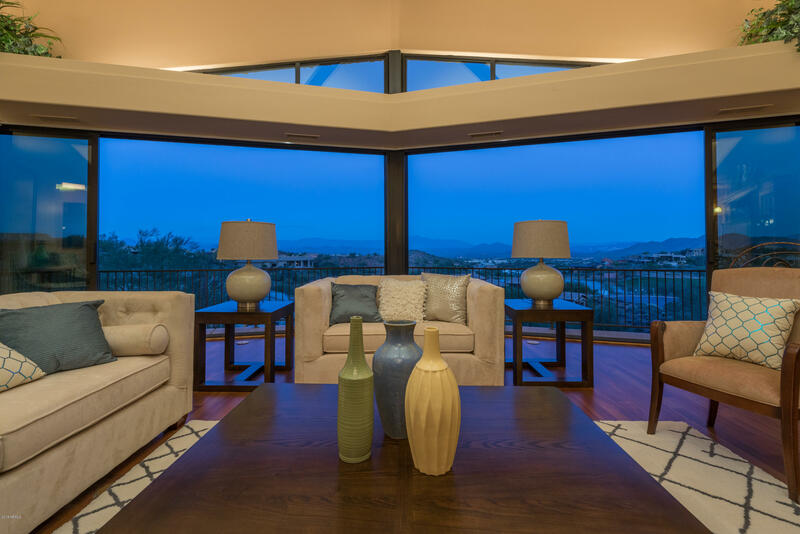 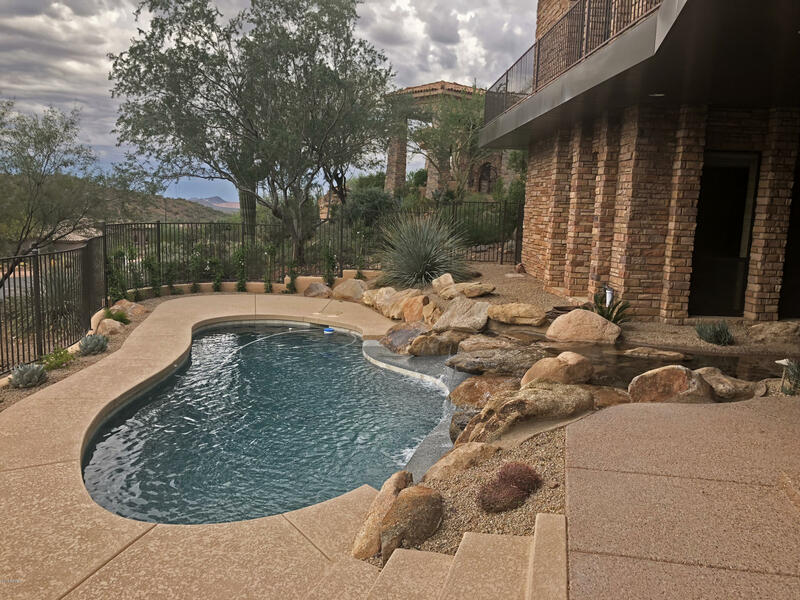 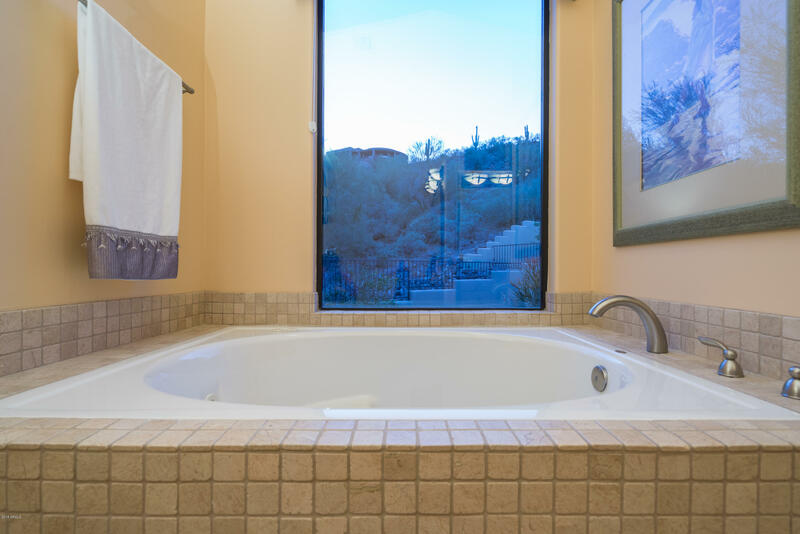 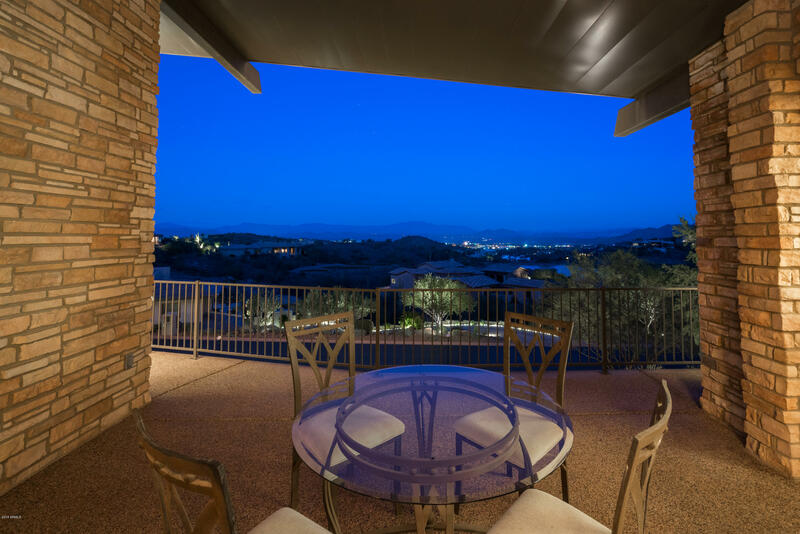 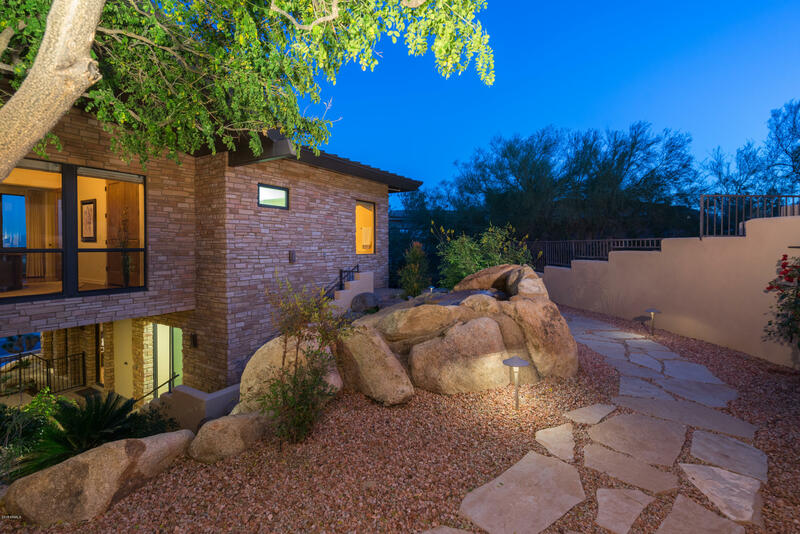 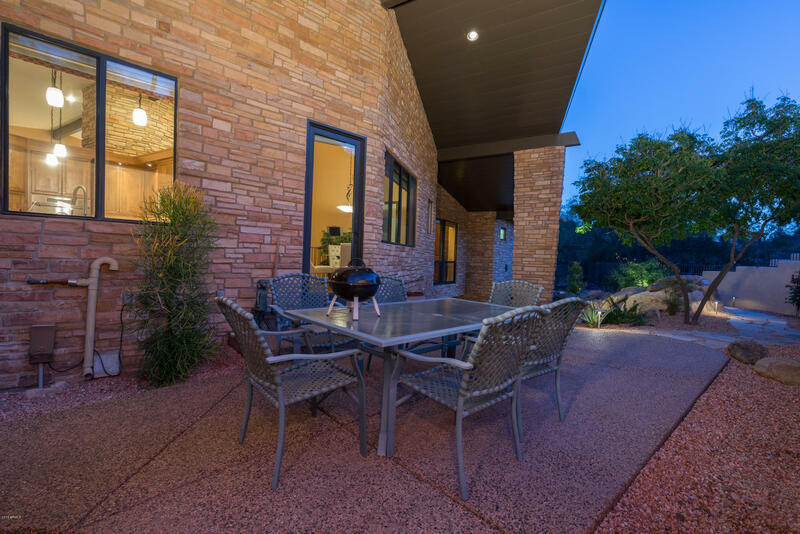 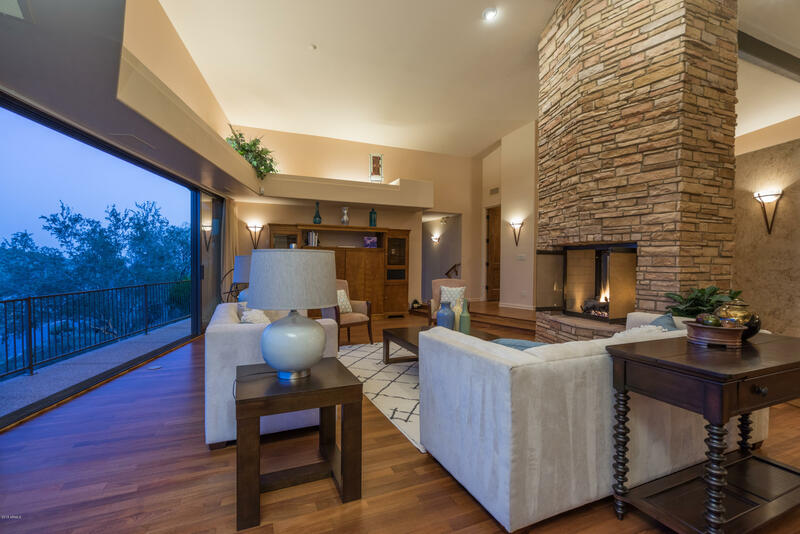 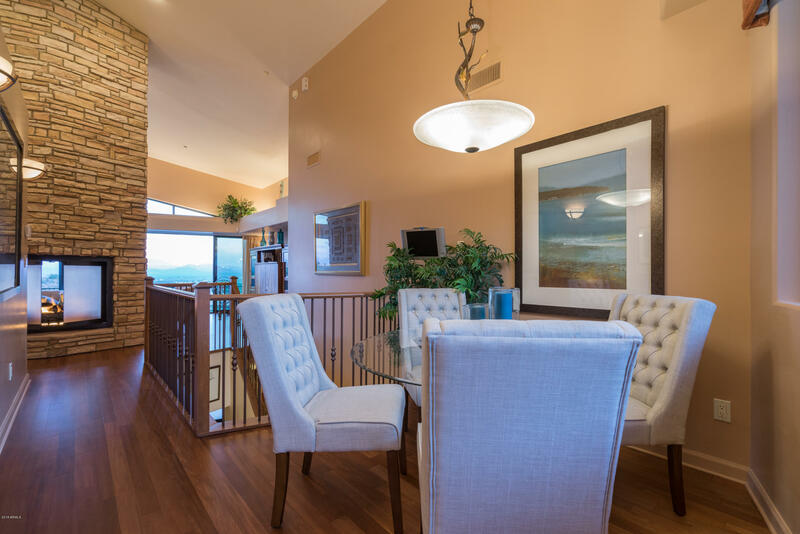 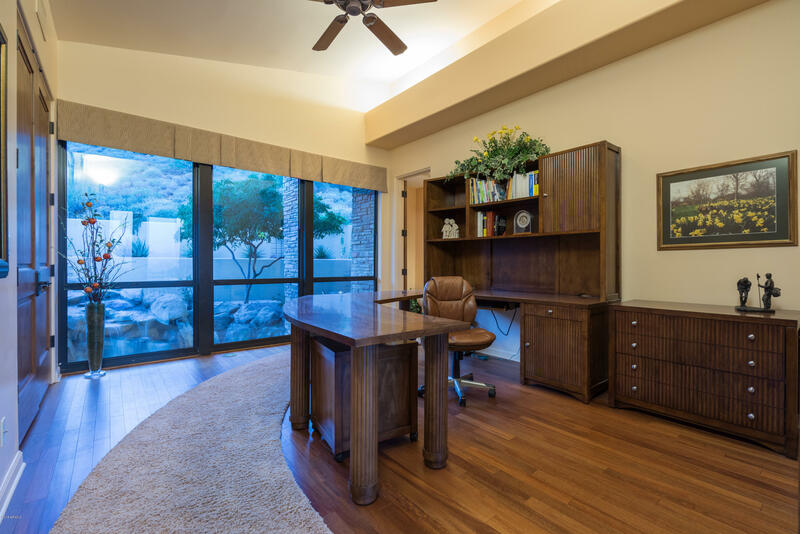 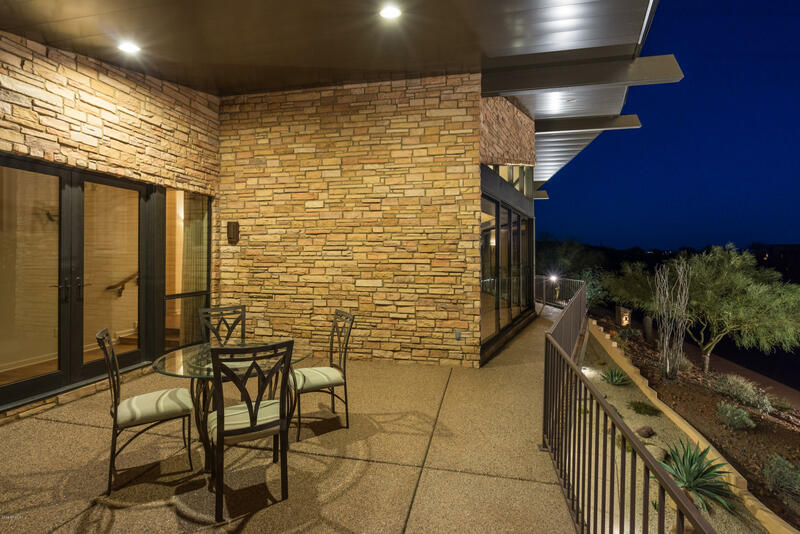 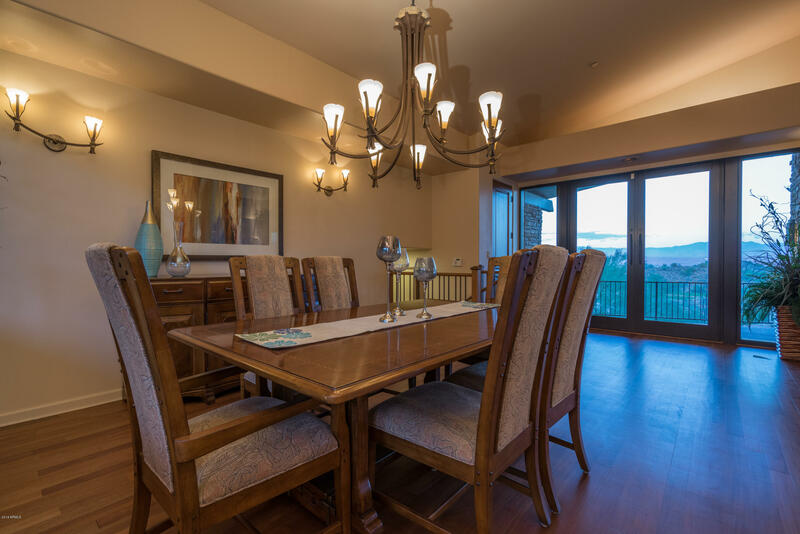 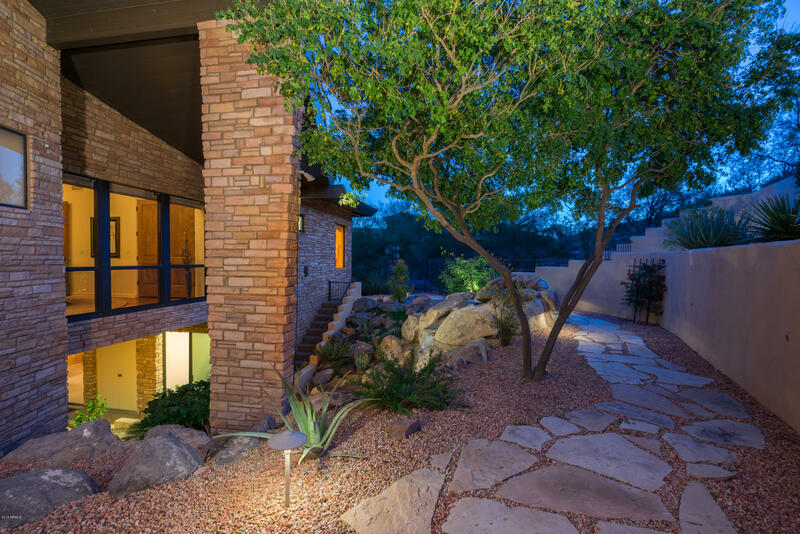 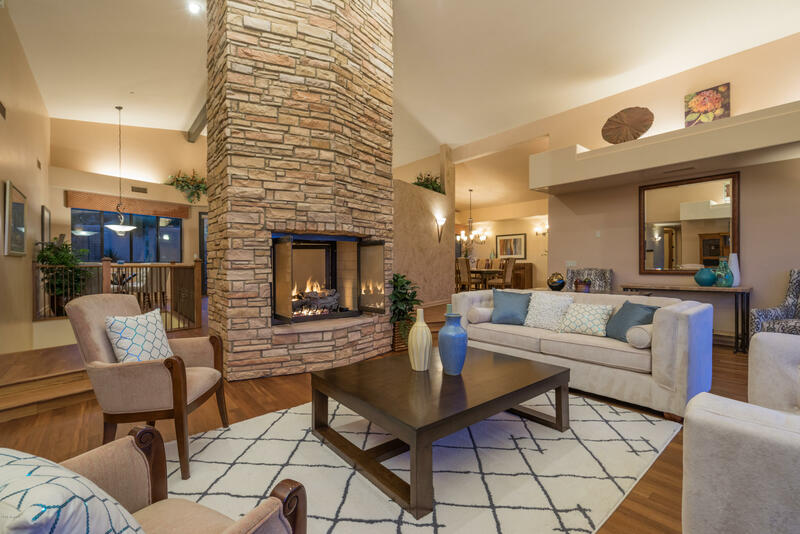 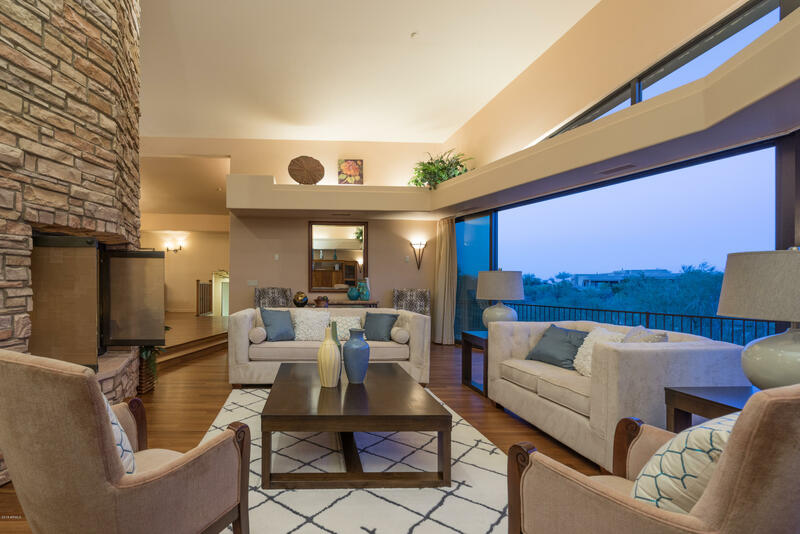 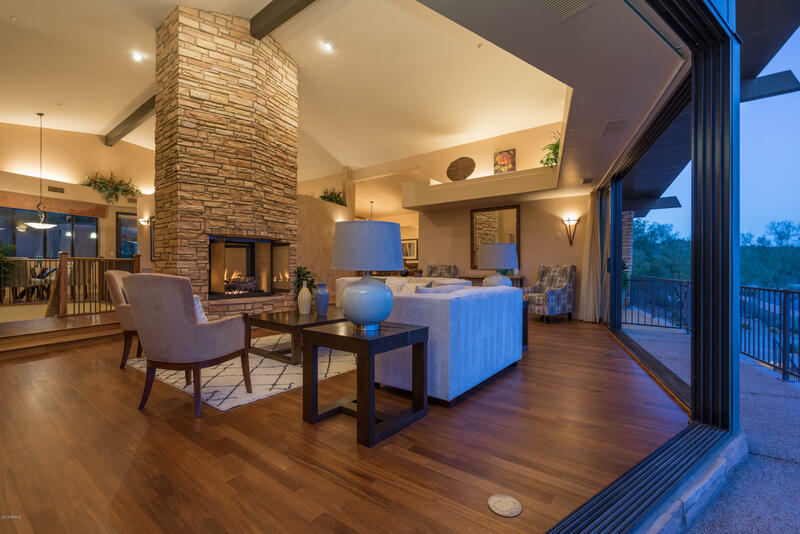 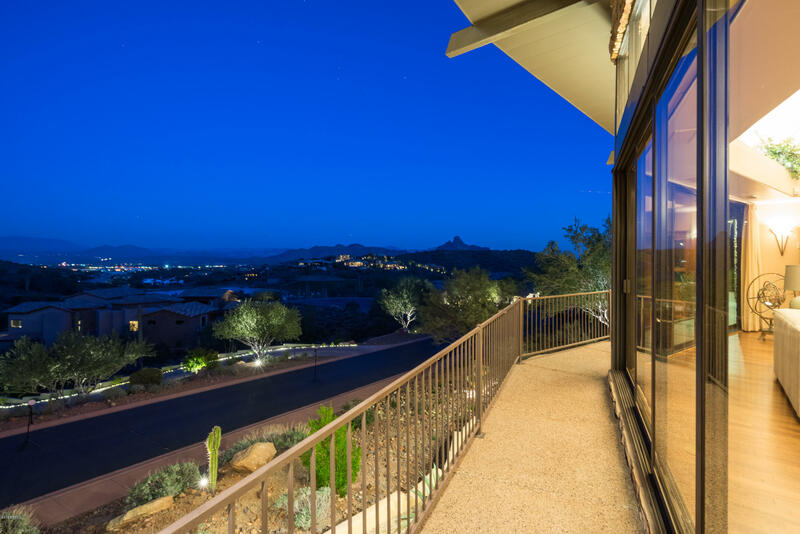 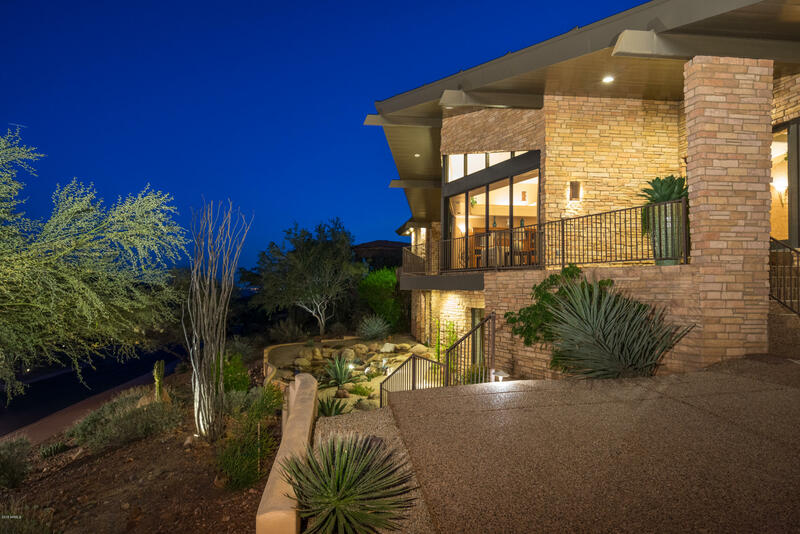 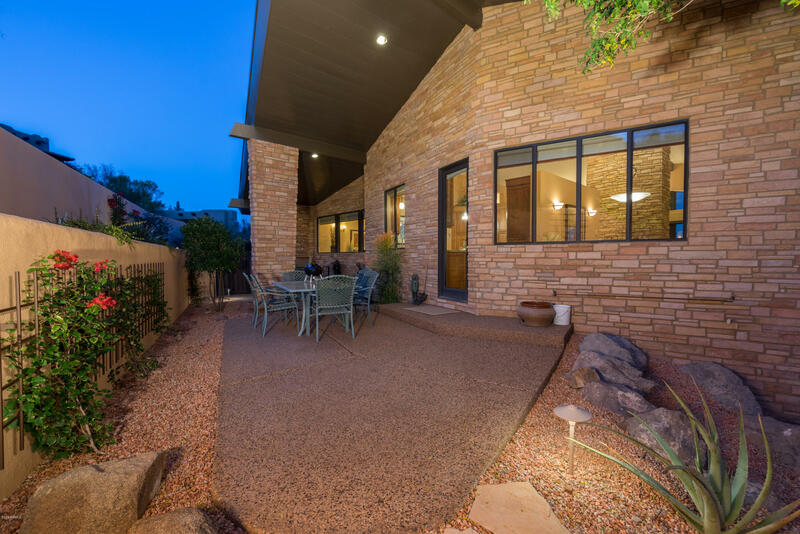 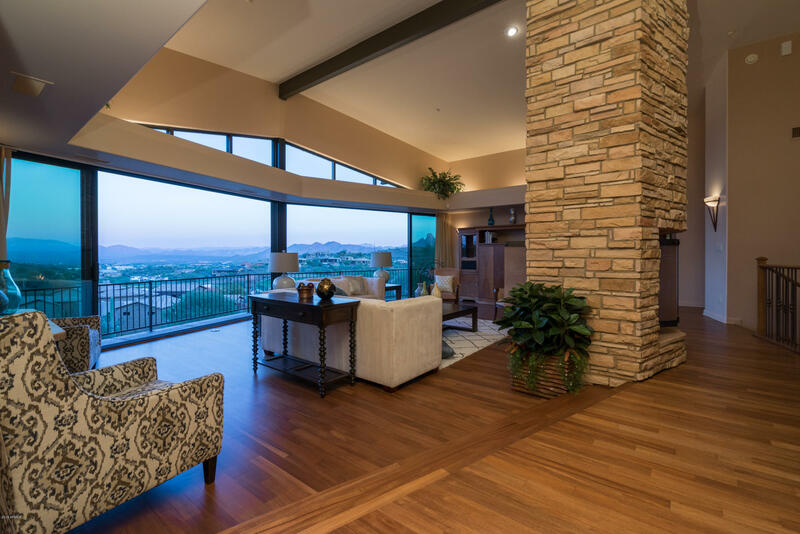 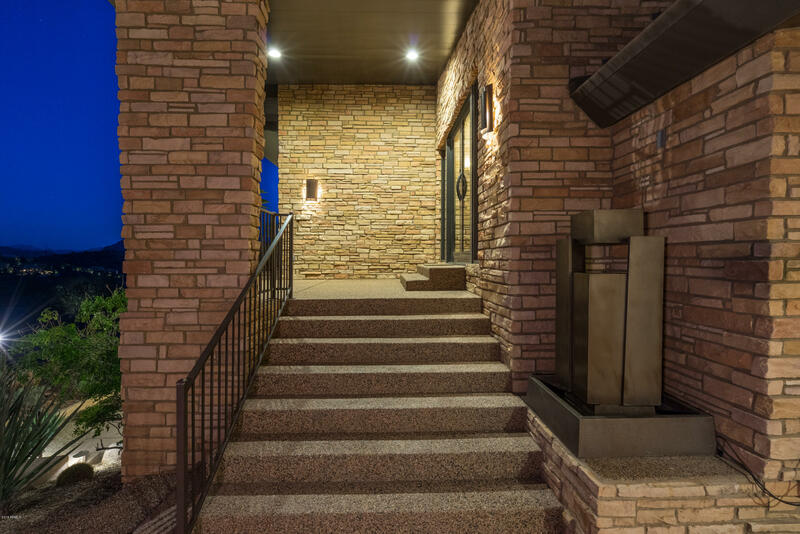 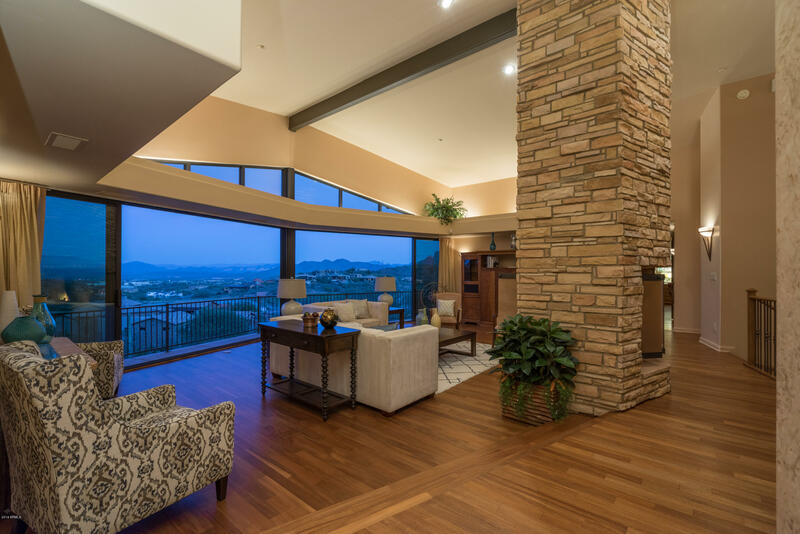 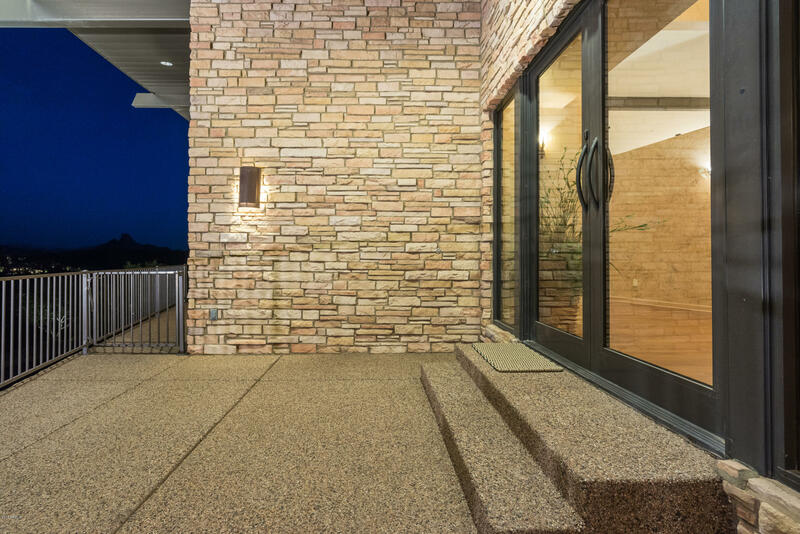 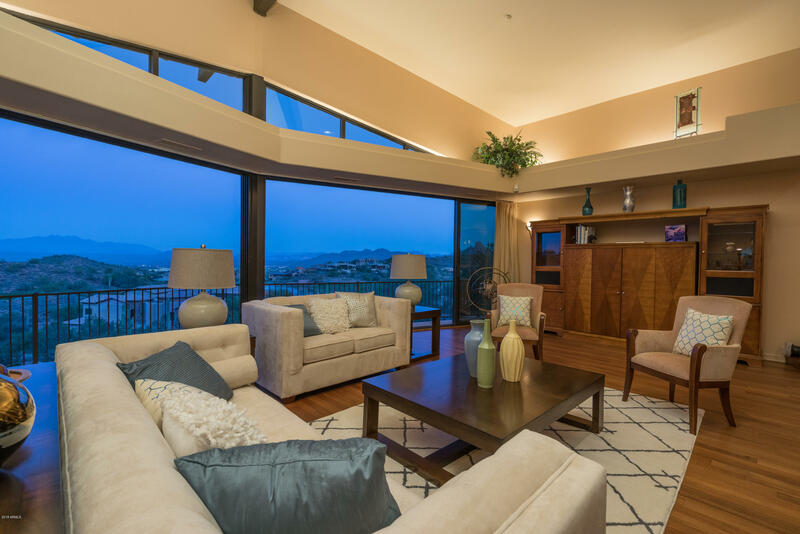 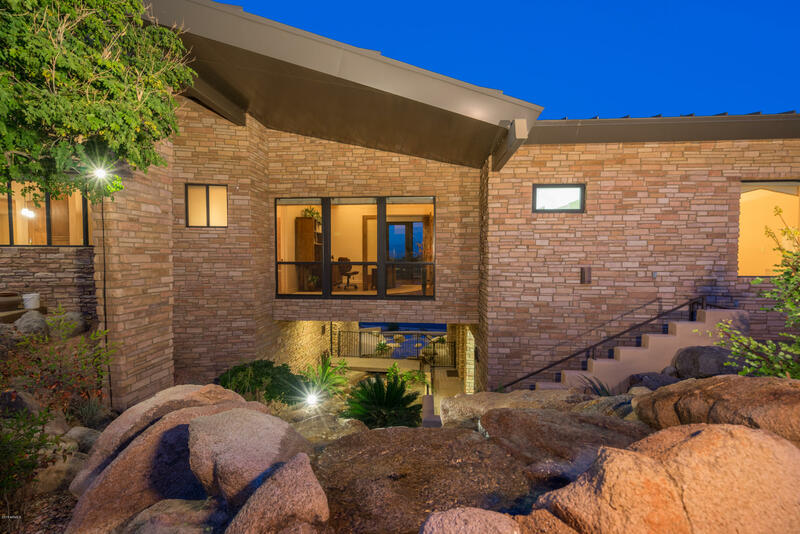 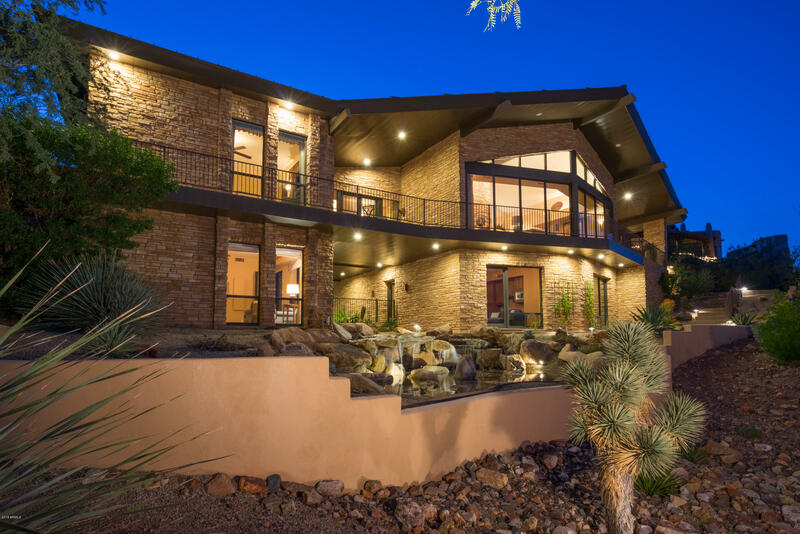 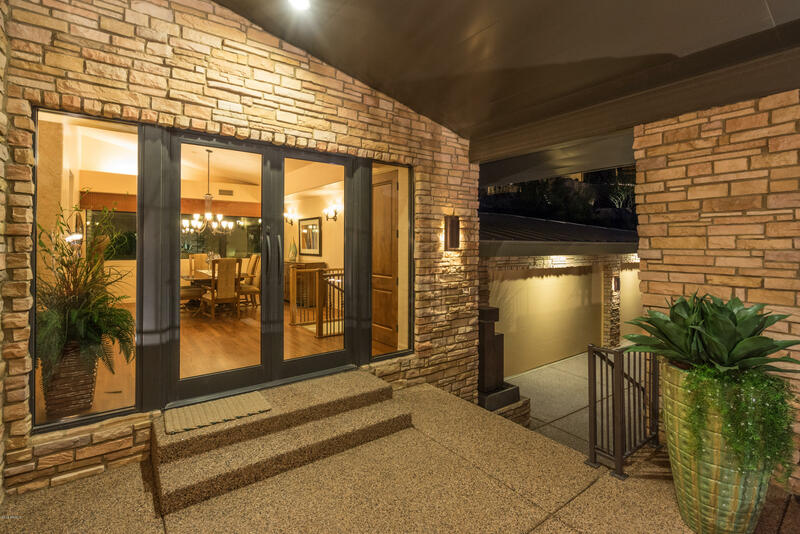 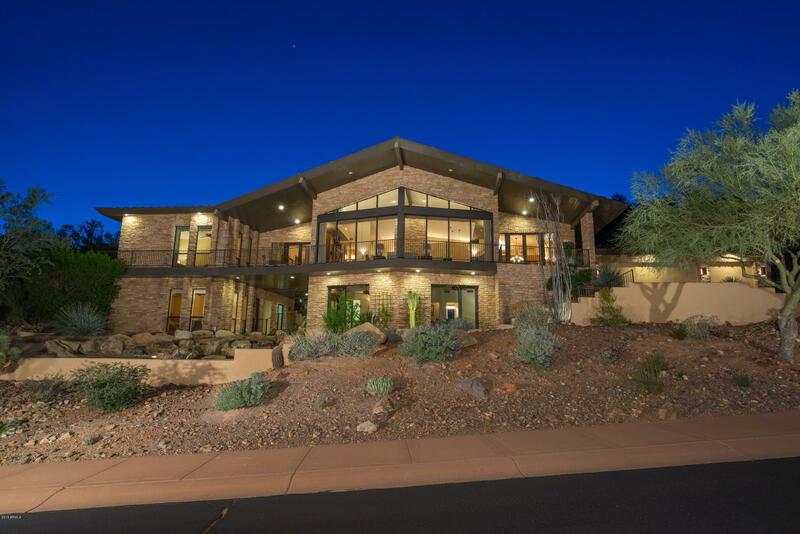 This contemporary home features endless views of the 4 Peaks and Red Mountain overlooking two fairways of Firerock's championship golf course. 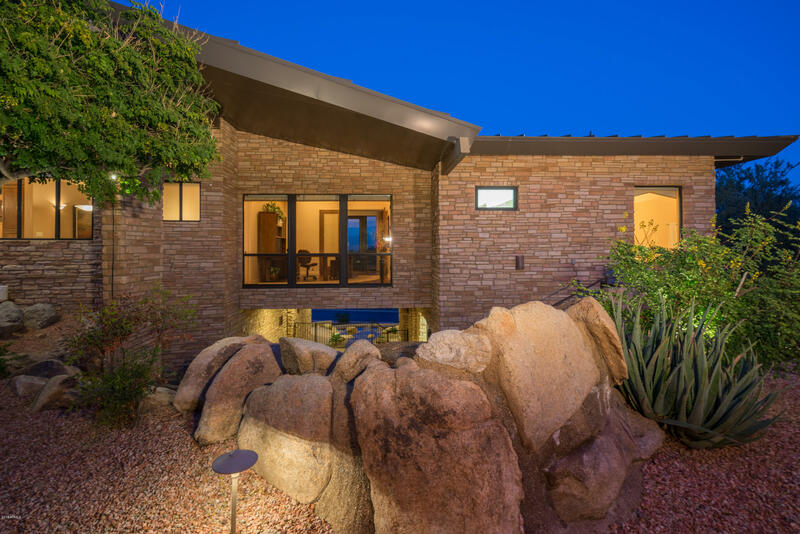 This Frank Lloyd Wright inspired design is steal framed and concrete constructed to maximize energy efficiency and structural integrity. 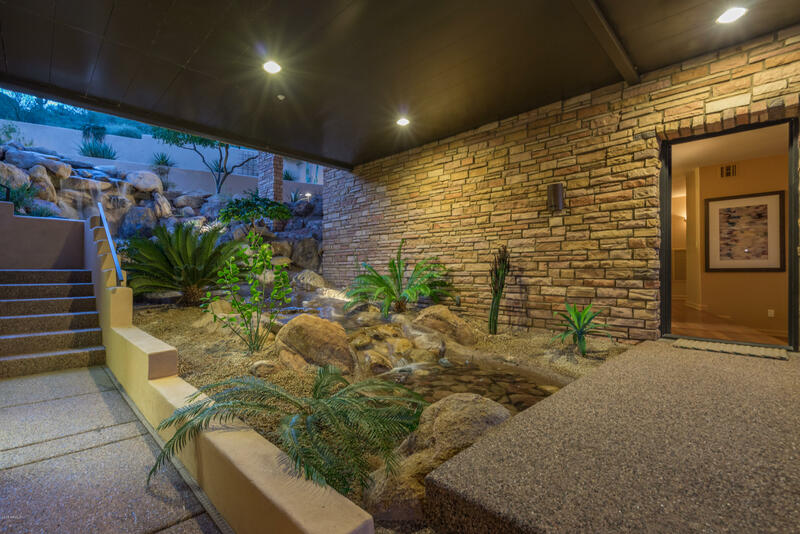 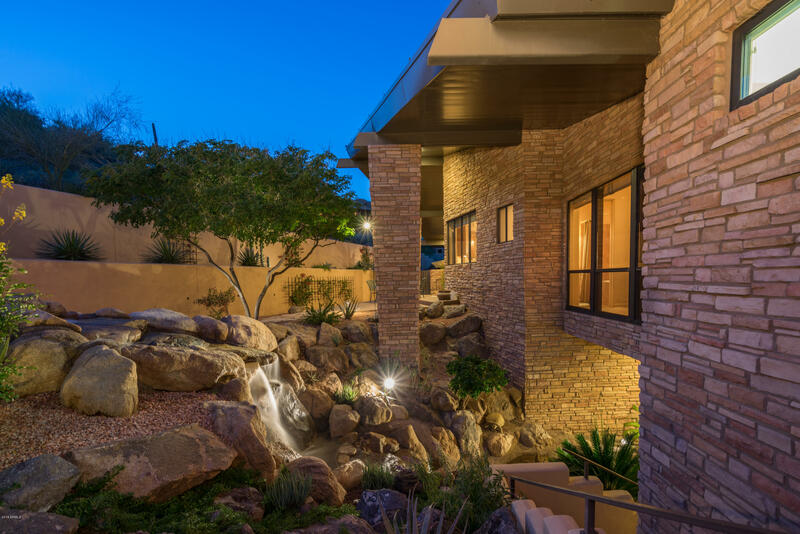 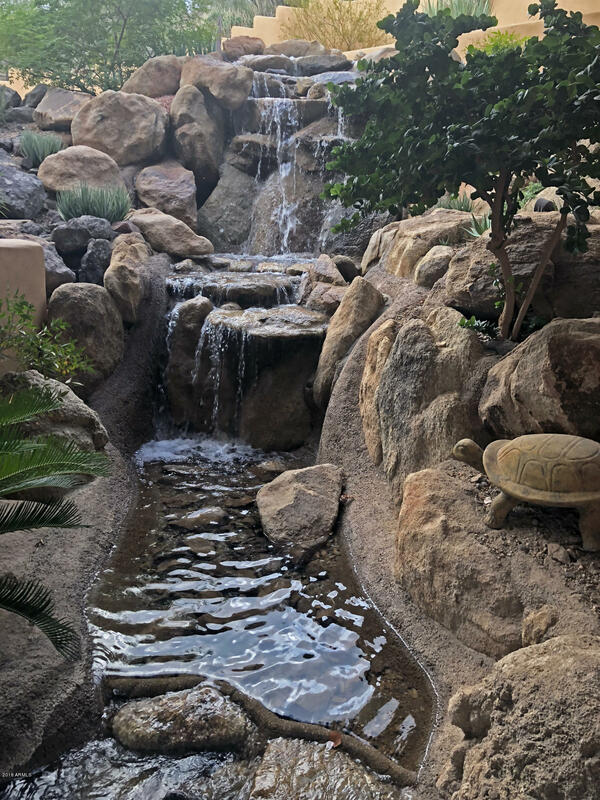 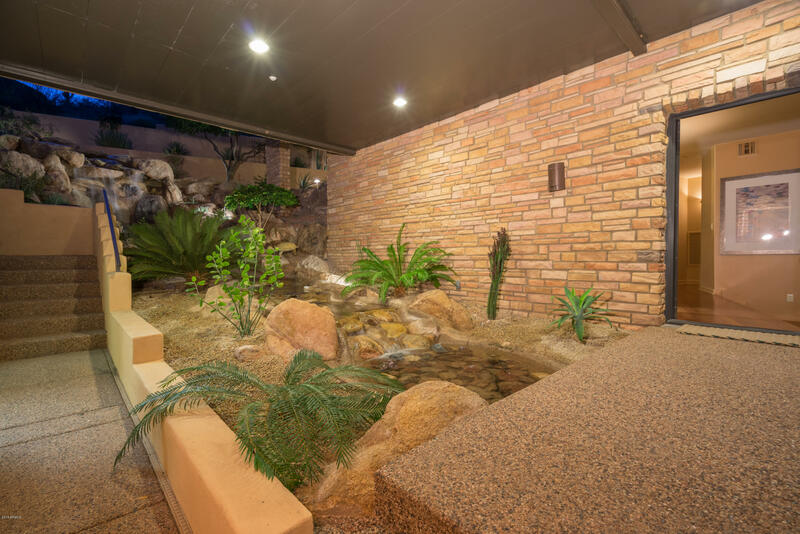 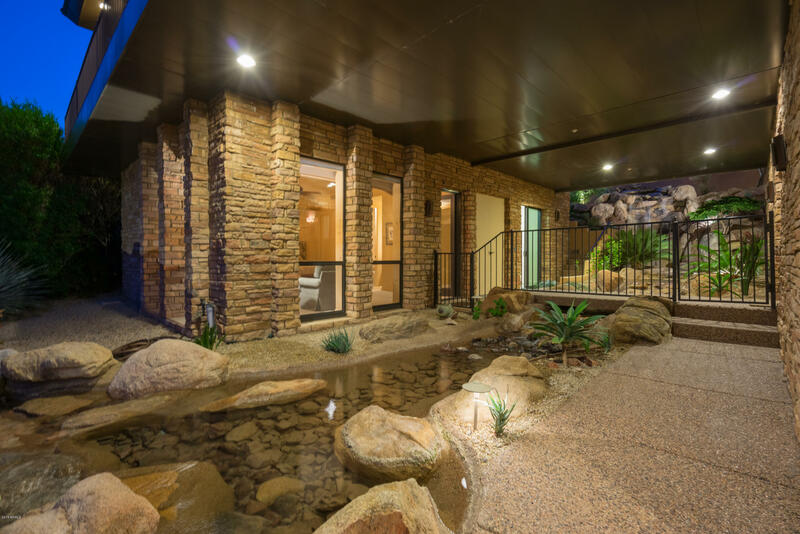 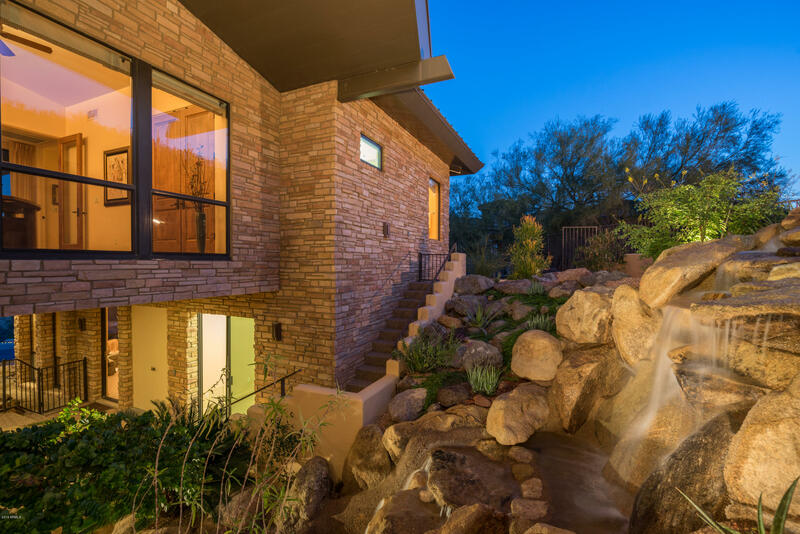 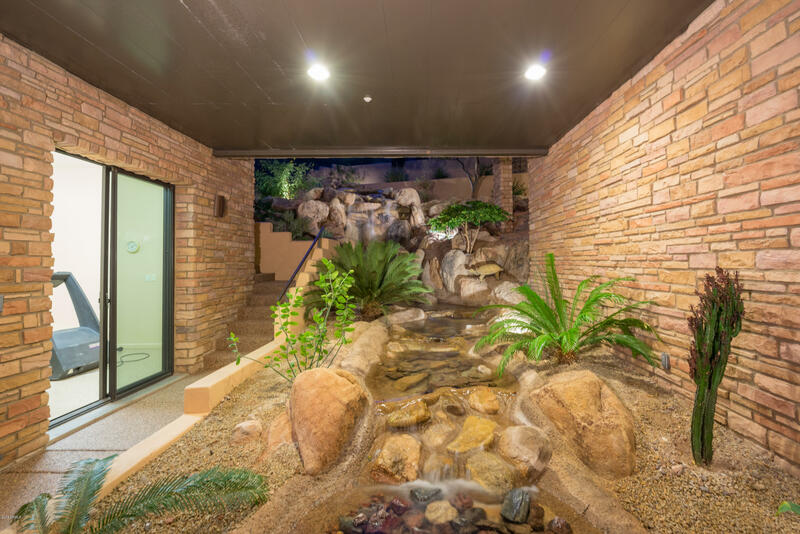 A dramatic waterfall, flows underneath the home to the new sparkling pool mesmerizing passerbys. 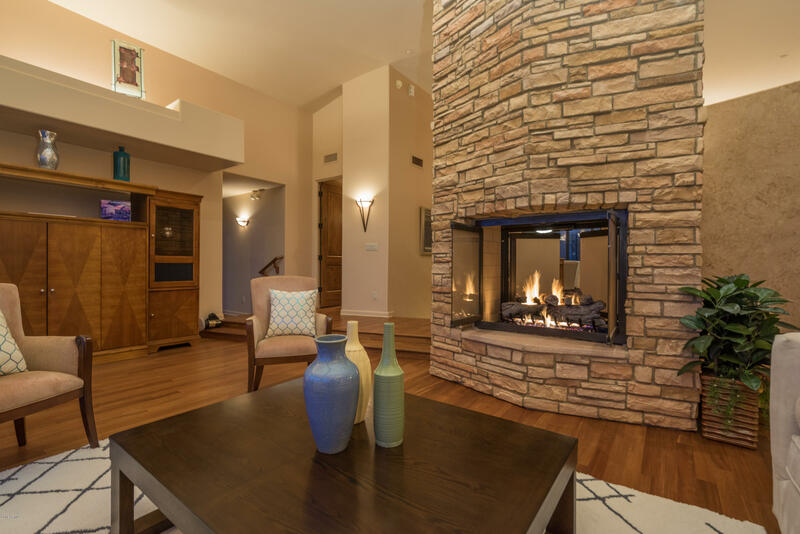 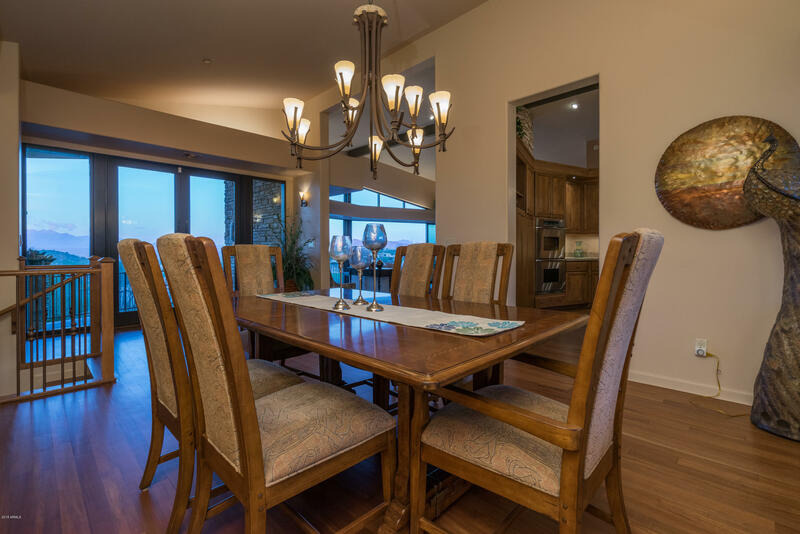 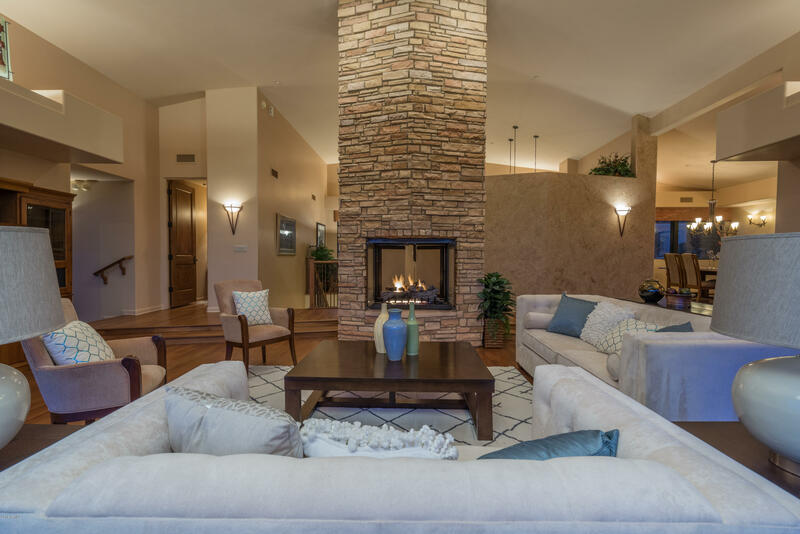 The open floor plan features a Great room with tall ceilings and wall of glass overlooking the spectacular views along with a stacked stone fireplace column all opening to the kitchen and formal dining area. 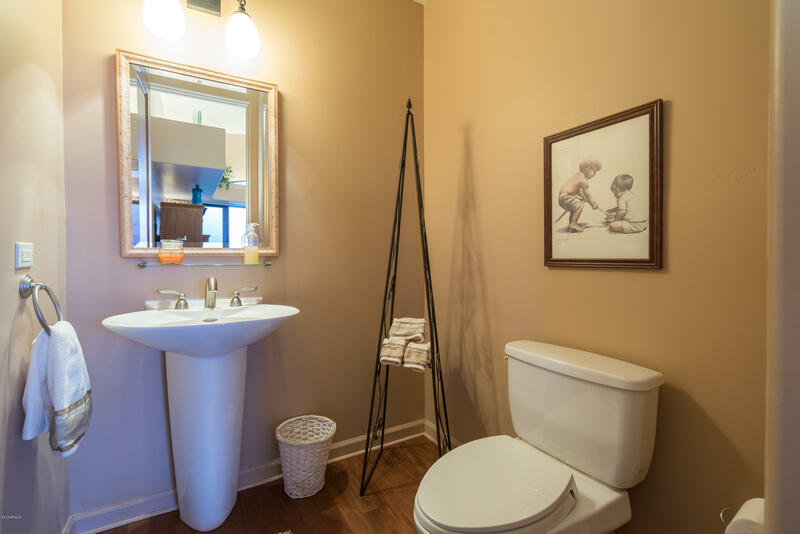 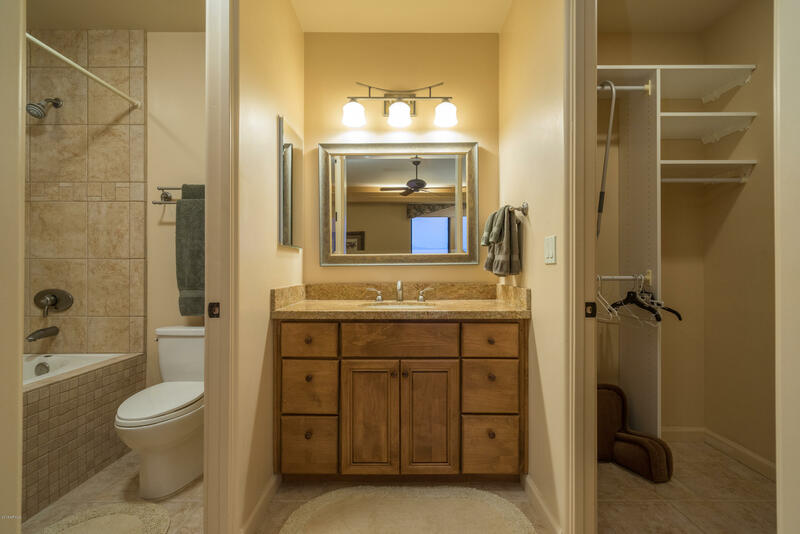 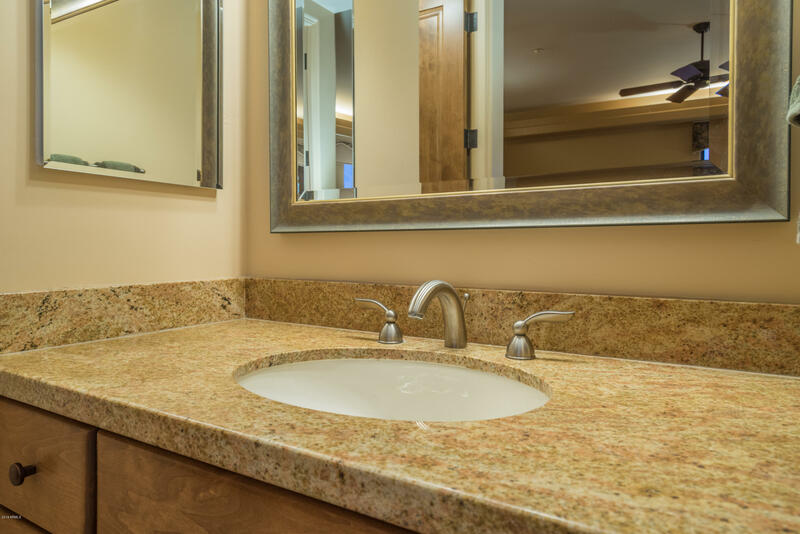 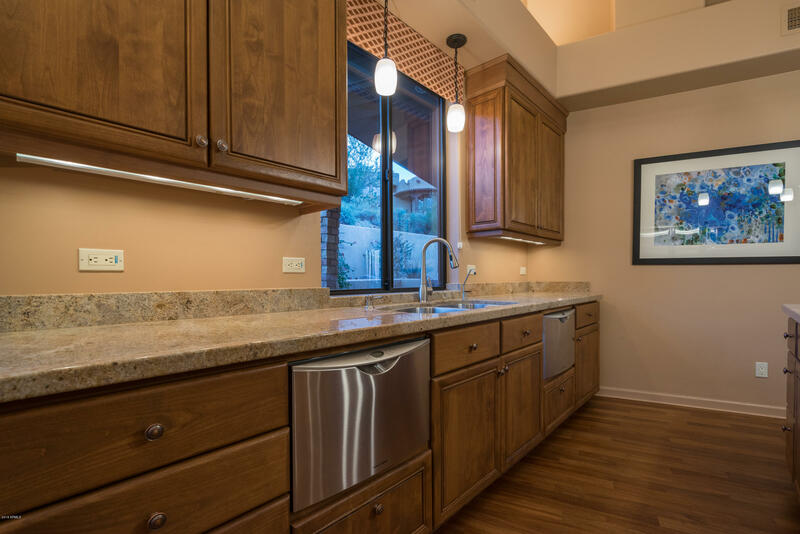 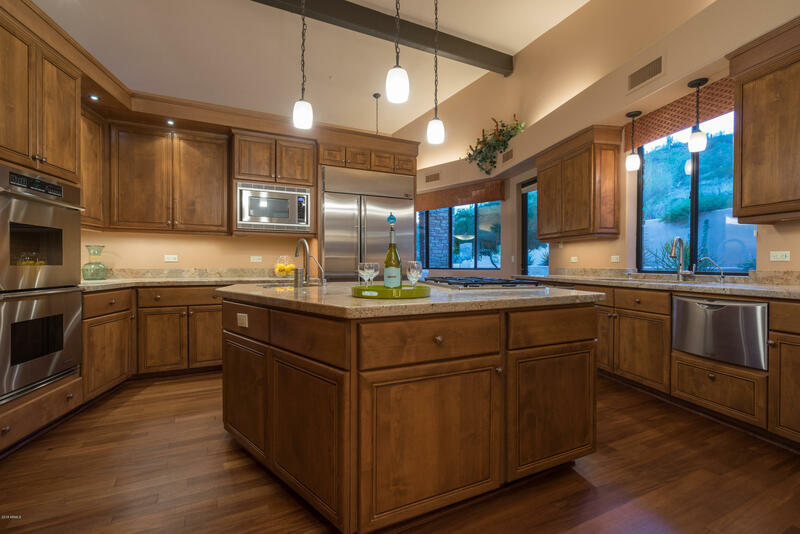 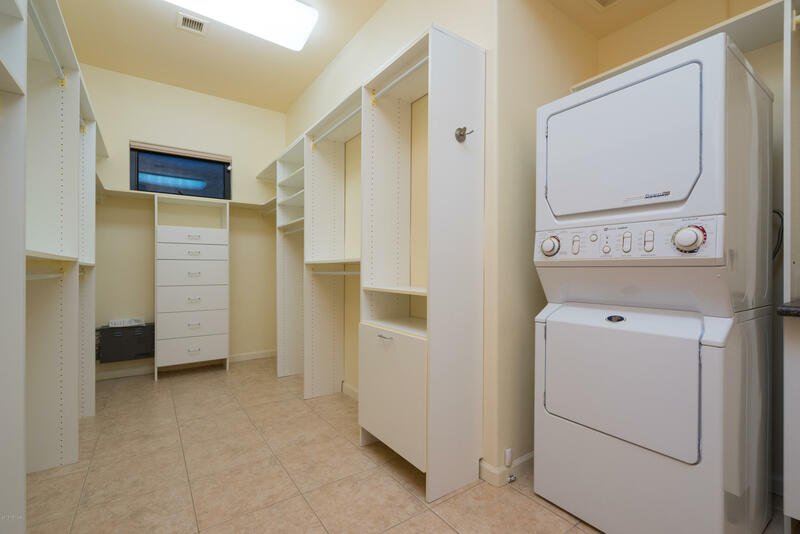 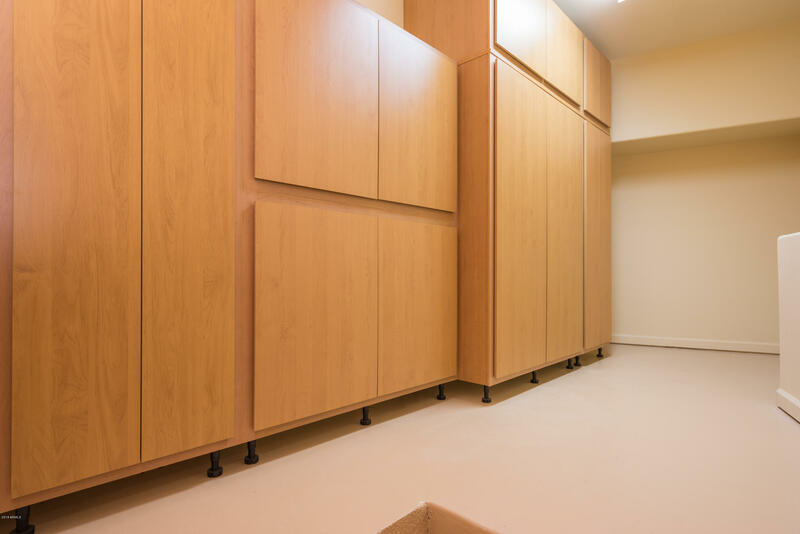 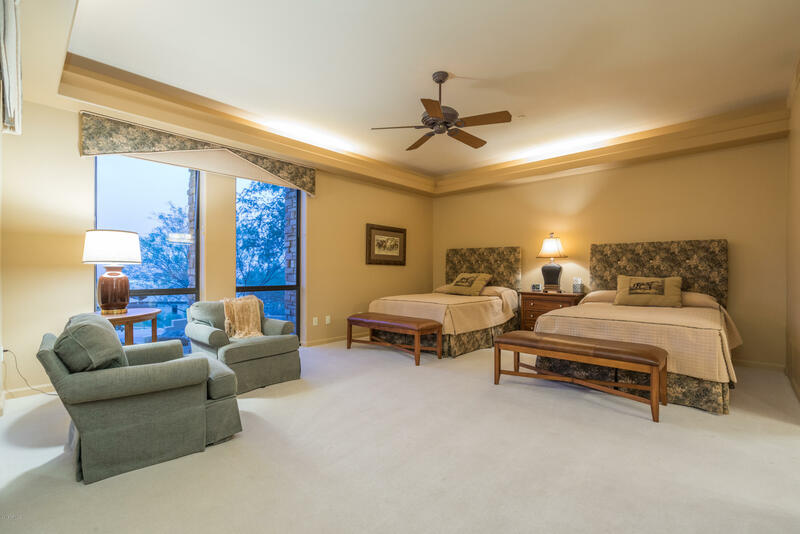 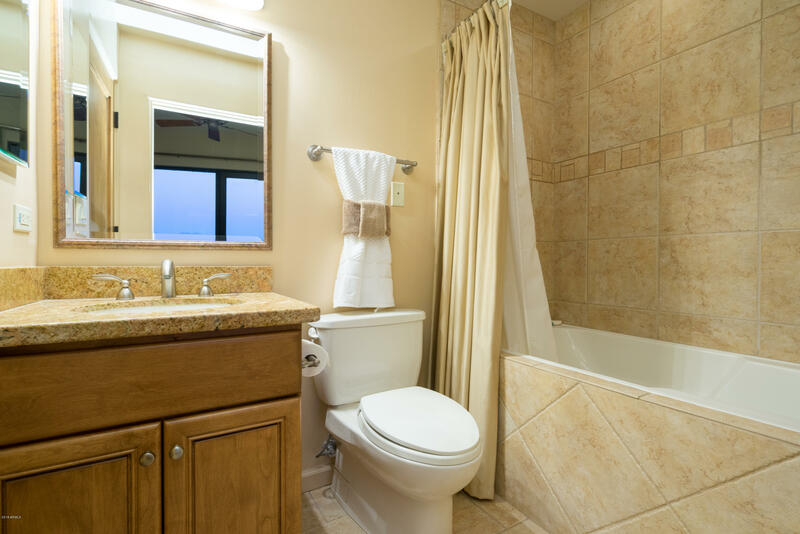 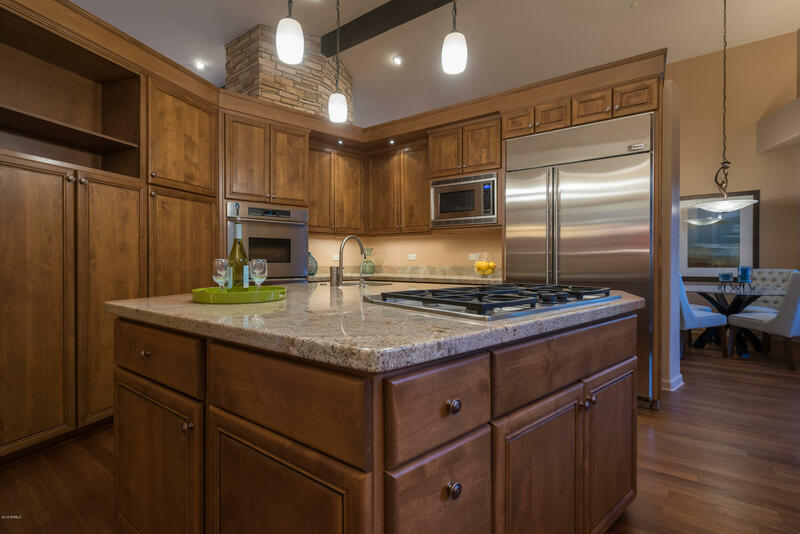 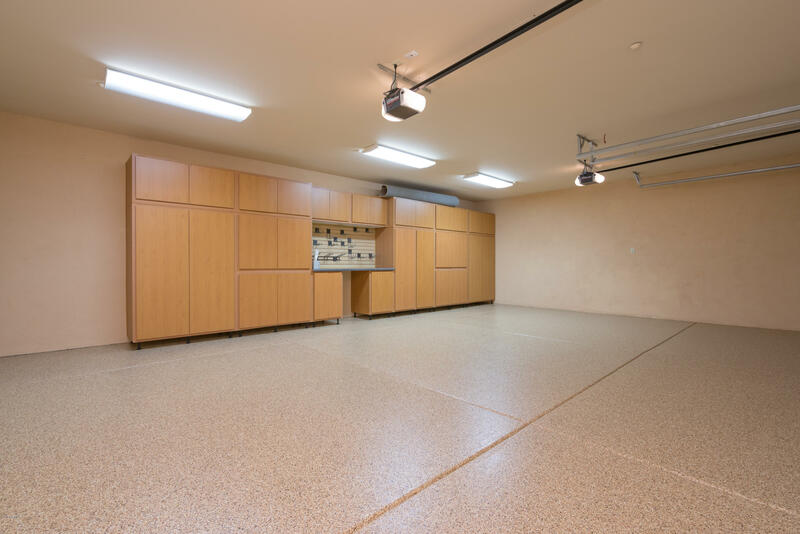 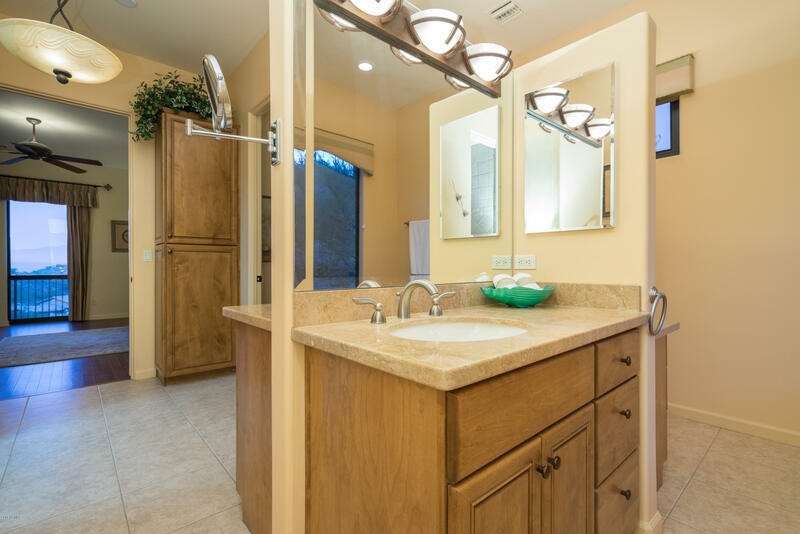 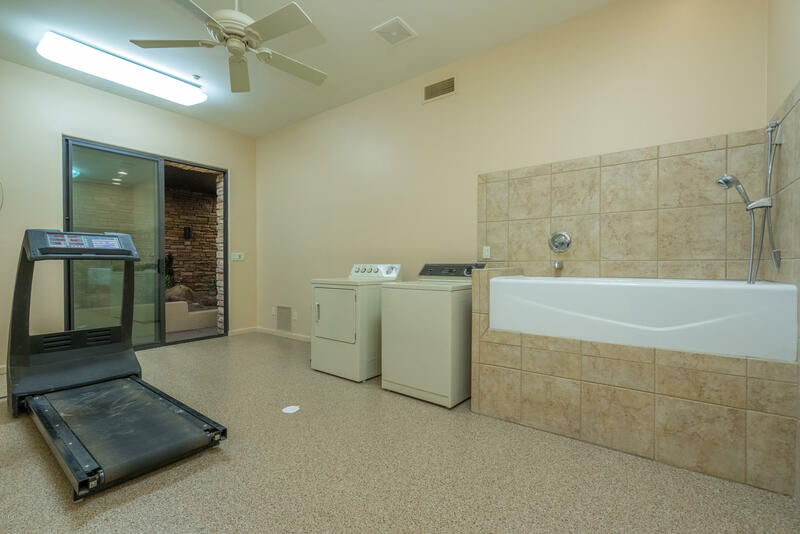 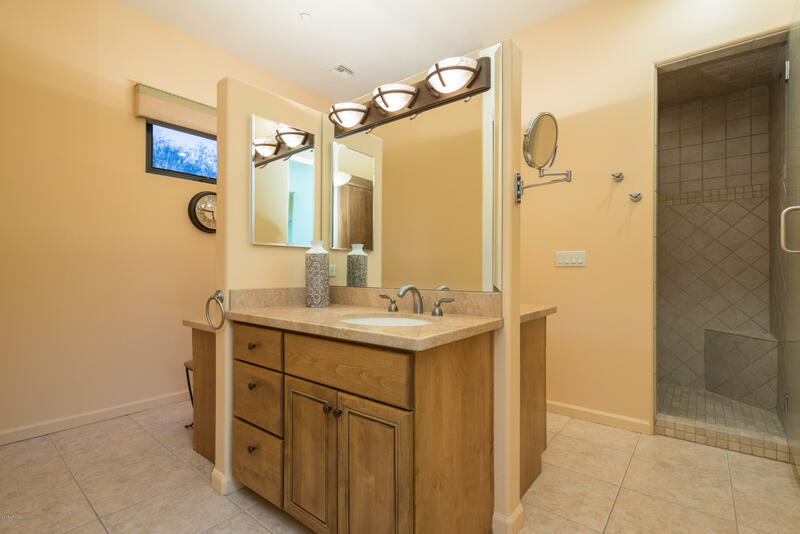 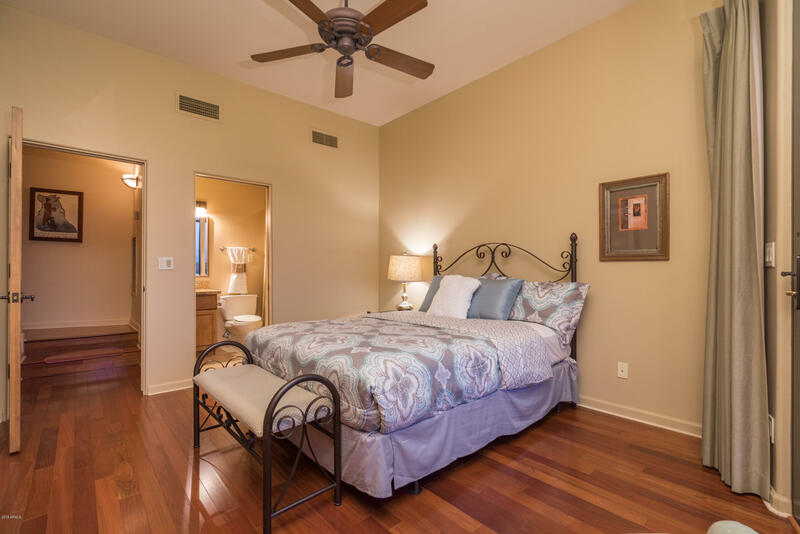 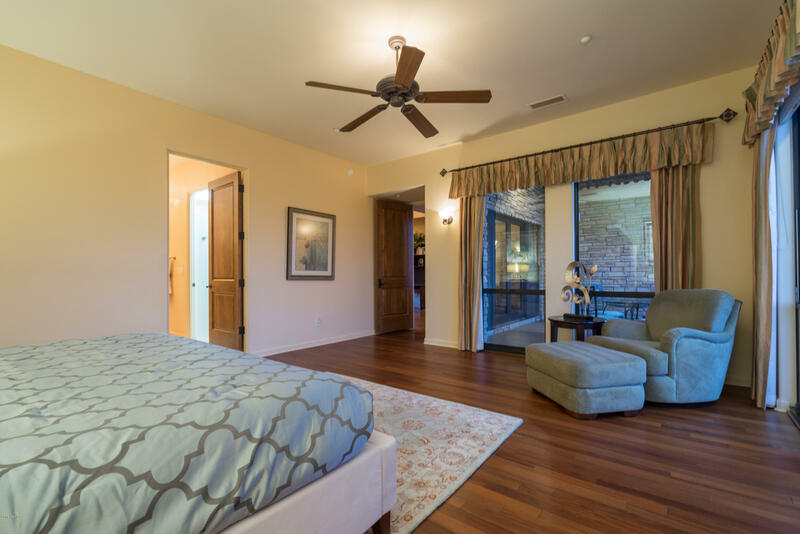 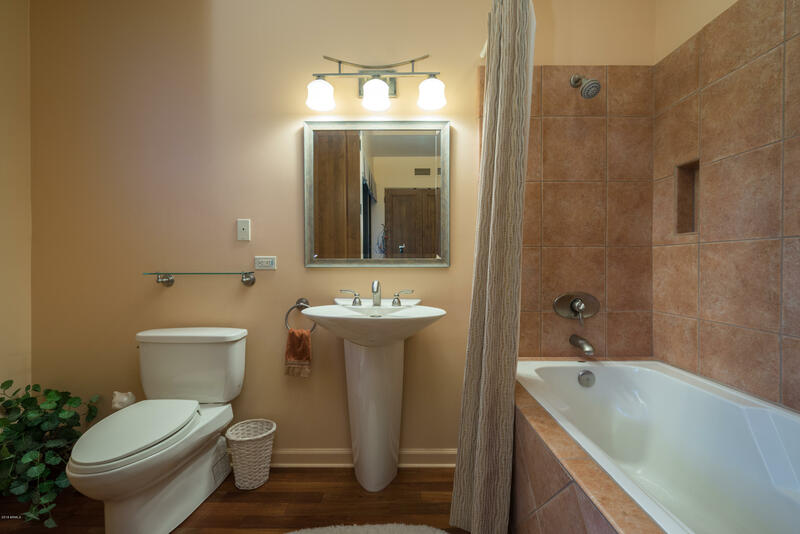 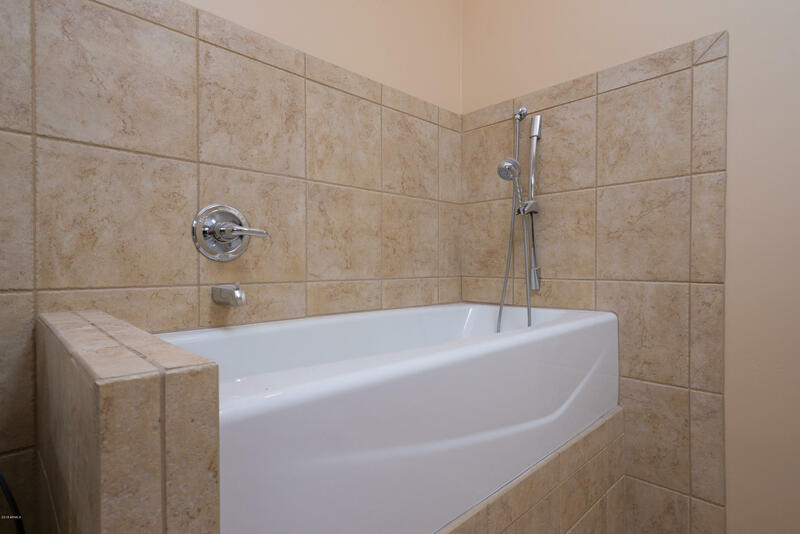 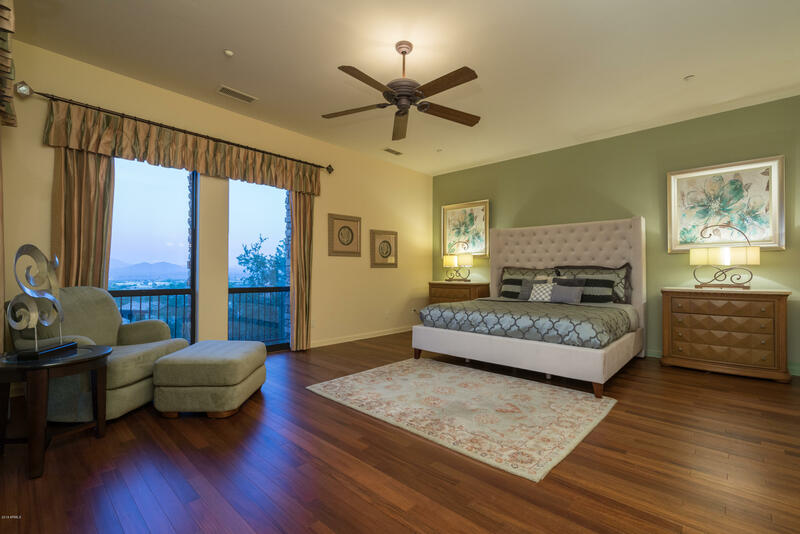 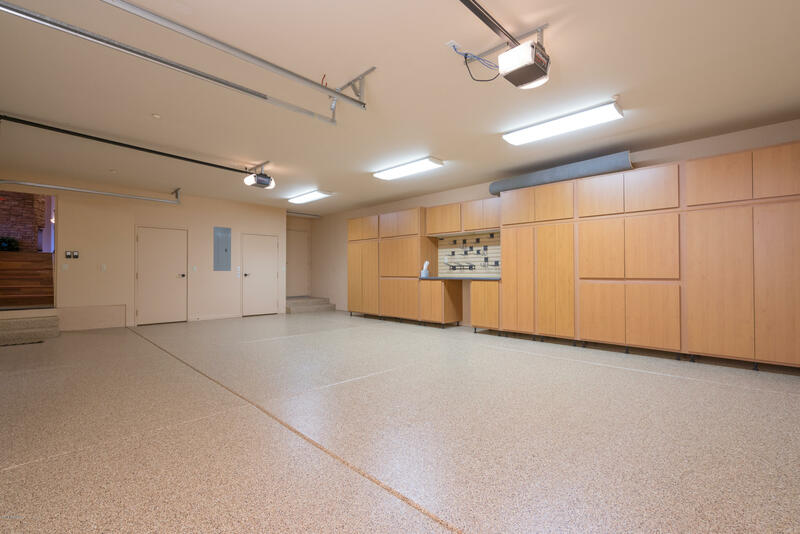 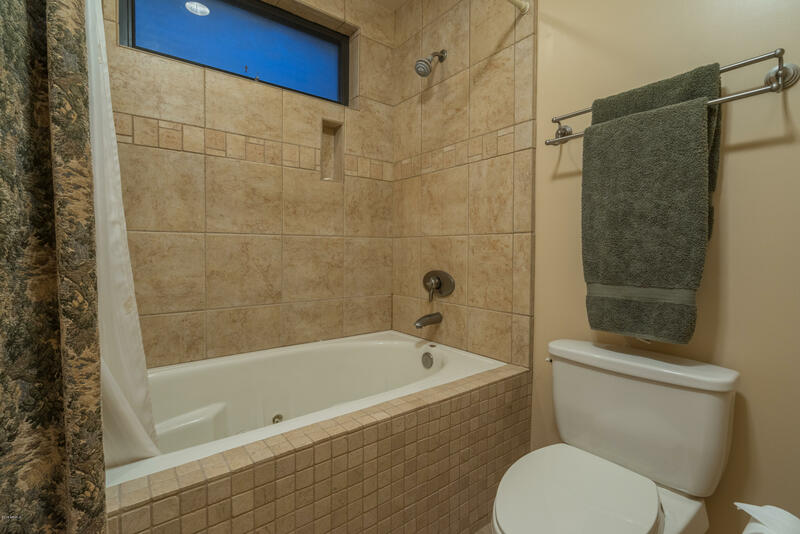 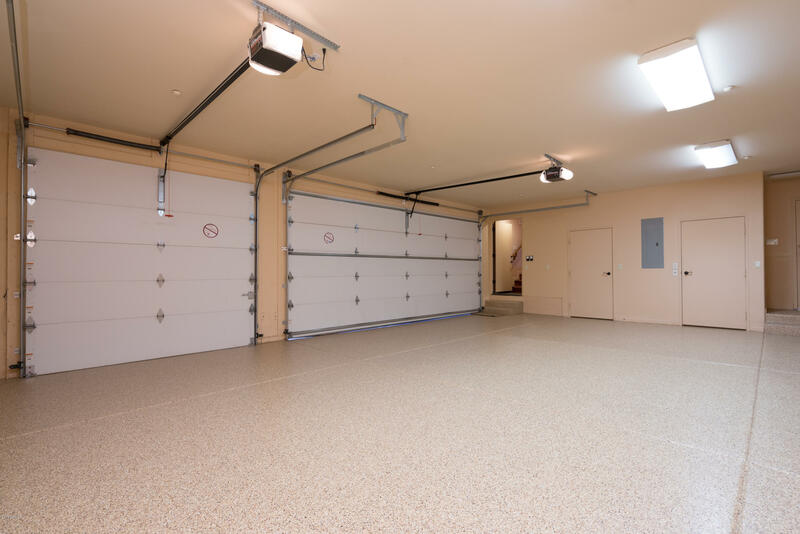 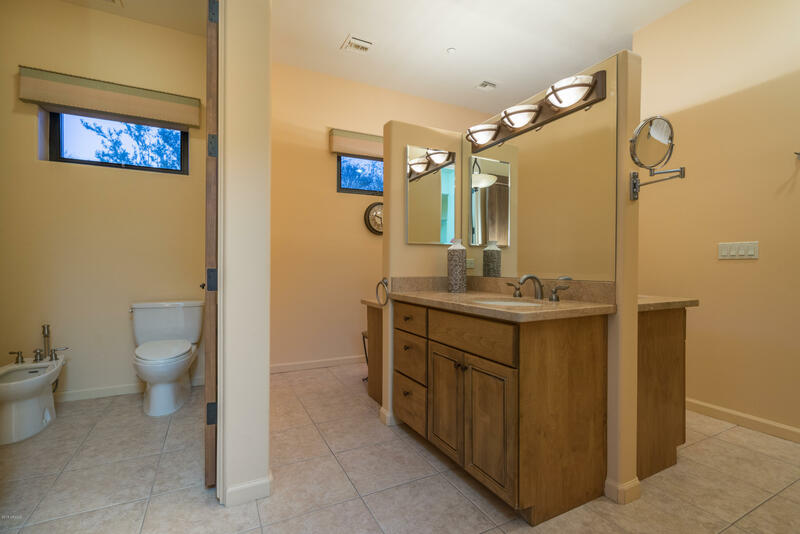 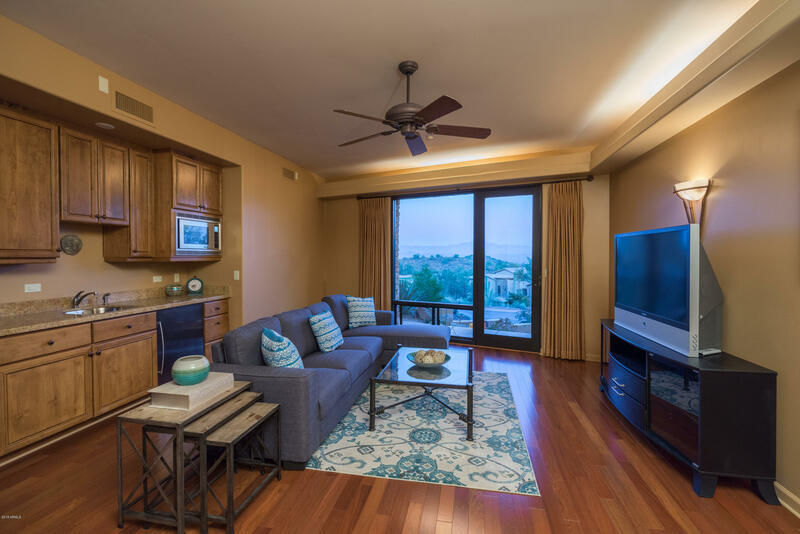 High end finishes include refinished hardwood found throughout the home. 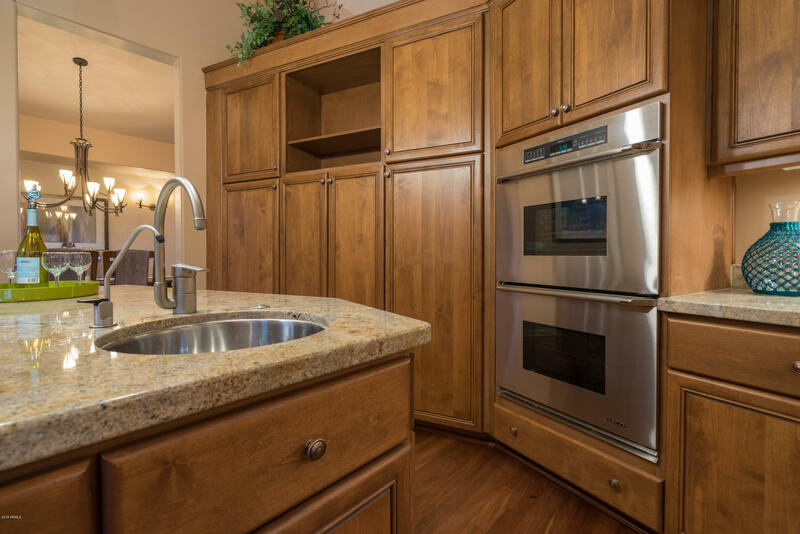 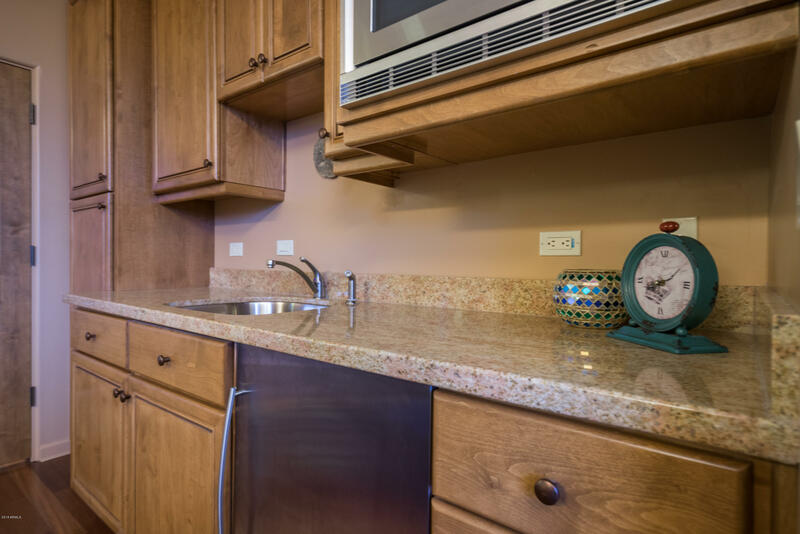 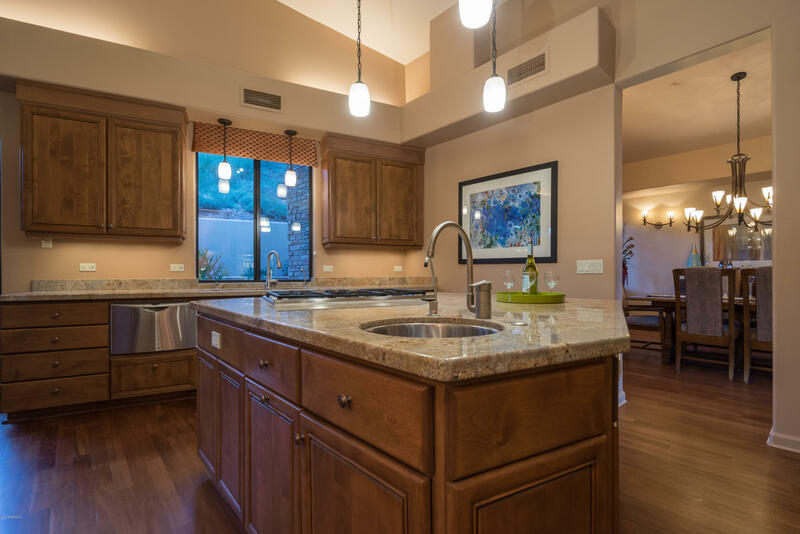 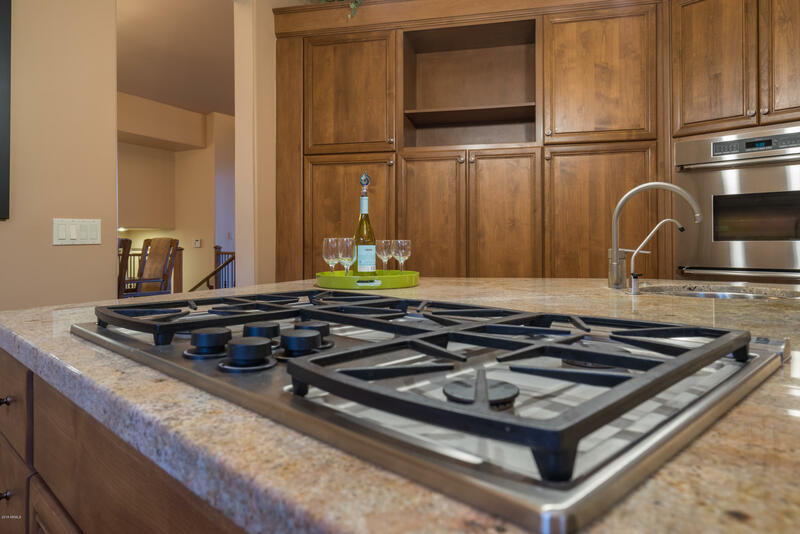 The kitchen is equipped with Decor stainless appliances including dual ovens, gas cook top, dual dishwashers and GE Monogram double fridge.